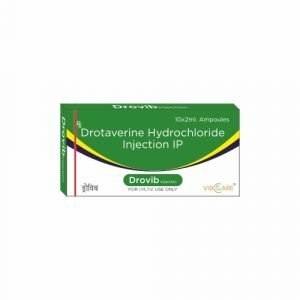 Drotaverine (INN, also known as drotaverin) is an antispasmodic drug, structurally related to papaverine. Drotaverine is a selective inhibitor of phosphodiesterase 4, and has no anticholinergic effects. Drotaverine has been shown to possess dose-dependant analgesic effects in animal models. One small study has shown drotaverine to be eliminated mainly non-renally. Used in the treatment of functional bowel disorders and alleviating pain in renal colic.